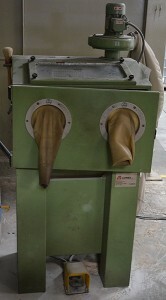 Sand blasting – Mechanical cleaning of parts by abrasion of corundum or galss beads. 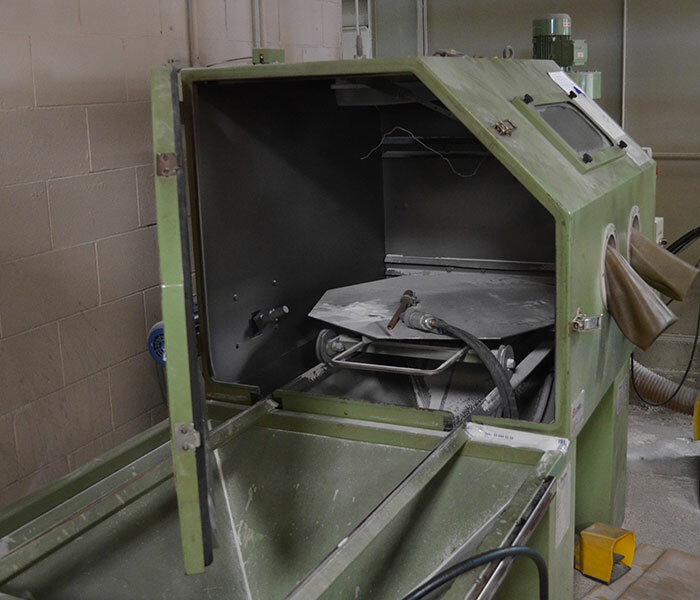 The and blasting process is a mechanical cleaning process by abrasion and is used both for metallic and non-metallic parts. Surface preparation for chemical or electrochemical finishing. General cleaning of parts with damaged protections or dry depsoits. Improve surface finish achieving a defined roughness. Elhco has two sand blasting machines: Coniex Norblast FN 36 and Coniex FN 30 T. The abrasive media used are: corundum Type I Grade C, according to A-A-5931 specification and glass beads according to MIL-PRF-9954 specification. For aeronautics, sand blasting is a special process, for that Elhco established procedures according to AIPS 02-02-002 specification.